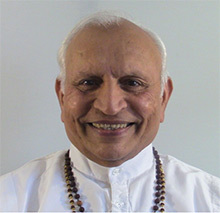 Yogi Shanti Desai is an awakened yoga master and a new age revolutionary thinker. He has a vision of personal awakening and transformation that can lead to global transformation. His wisdom is the result of practicing yoga, living with awareness, contentment and being rooted in the Self.